As part of the Toyota family, your exceptional ownership experience starts with ToyotaCare*, a no cost maintenance plan with 24-hour roadside assistance. The ToyotaCare plan covers normal factory scheduled maintenance for 2 years or 25,000 miles, whichever comes first. 24-hour roadside assistance is also included for 2 years and unlimited miles. 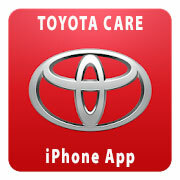 *ToyotaCare covers normal factory scheduled service for 2 years or 25,000 miles, whichever comes first. See Toyota dealer for details and exclusions. Valid only in the continental U.S. and Alaska. Toyota is devoted to safety and dependability, and proper vehicle maintenance is important to both. ToyotaCare delivers on the following Maintenance Guide services, when required, at no cost for 2 years or 25,000 miles, whichever comes first. ToyotaCare features 24-hour roadside assistance available at no cost for 2 years from the effective date, and unlimited miles. **Does not include parts and fluids, except emergency fuel delivery. Valid only in the continental U.S. and Alaska. Call 24/7 for Roadside Assistance. Valid only in the continental U.S. and Alaska. 1-800-444-4195 Are you a RAV4 EV Owner or Have Questions? 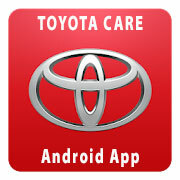 Please Contact Us for additional information regarding ToyotaCare.